The Federal Court has fined Origin Energy $2 million and SalesForce Australia Pty Ltd (the Salmat subsidiary; not to be confused with American cloud computing company Salesforce Inc) $325,000, finding the utility provider and its marketing company guilty of unlawful door-to-door selling practices, unconscionable conduct, undue harassment or coercion, false or misleading representations and breaches of the unsolicited consumer agreement provisions of the Australian Consumer Law. 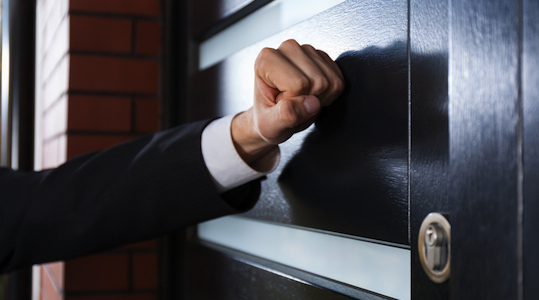 ACCC chairman Rod Sims says these penalties are the highest of their kind to ever be handed to an energy retailer and its marketing company for illegal door-to-door behaviour. Justice Anna Katzmann stated in her judgement that the companies’ sales representatives had “preyed on the vulnerable and the ill-informed” while trying to negotiate electricity contracts with Origin. The victims included ten customers from New South Wales, Victoria, Queensland and South Australia. A sales rep continued to negotiate with a native Tamil-speaking customer who had advised of a difficulty understanding English, prompting the customer to answer ‘yes’ on a phone call to confirm an electricity contract with Origin. A sales rep continued to negotiate with a customer despite being told she was not the authorised account holder and uninterested in changing electricity retailers. The rep also showed undue harassment or coercion over the phone by instructing the customer to falsely state that her husband had signed an agreement to join Origin. “In each case the sales representative practised deceptions on the consumers in order to secure their custom,” Justice Katzmann said. the consumer was signing an expression of interest and would not change her electricity retailer unless she contacted Origin. failing to inform consumers in writing of their right to terminate their contract within the cooling-off period. The companies were ordered to jointly publish a corrective newspaper notice, maintain compliance programs and contribute to the ACCC’s costs. Australian Power and Gas – fined $1.1 million in November 2013.